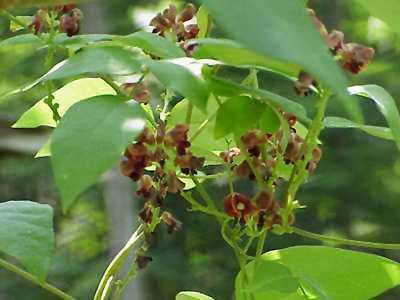 Description: This vine trails to considerable lengths over other plants such as small trees or shrubs. Leaves of three (leaflets) are ovate with acuminate tip and are 2 to 4 inches long. 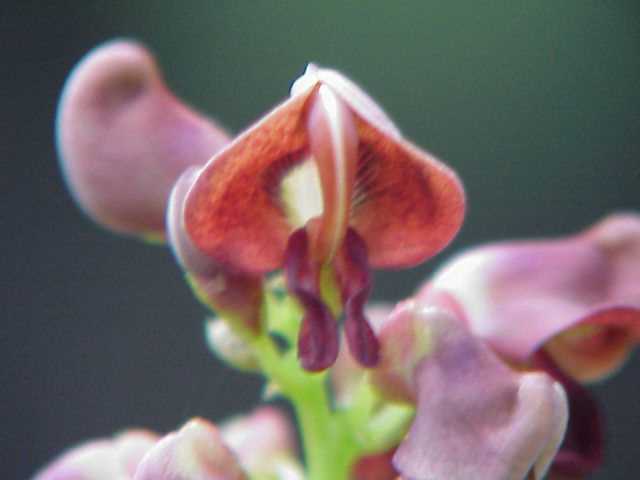 Flowers are a reddish purple about 1/3 inch. The pods are flat, slightly curved about 2 inches in length or more. Seeds are chocolate colored.